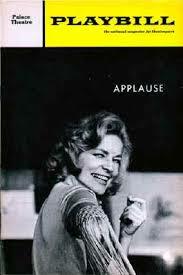 “Think How It’s Gonna Be” is from the 1970 Broadway musical Applause, which starred Lauren Bacall. The show was intended to be based on the film All About Eve, but the studio refused to grant the rights. However, they did purchase the rights to the short story that the film was based on. “Think How It’s Gonna Be” was recorded on April 2, 1970 and released that year on the album Tony Bennett’s “Something”. It was arranged by Peter Matz.